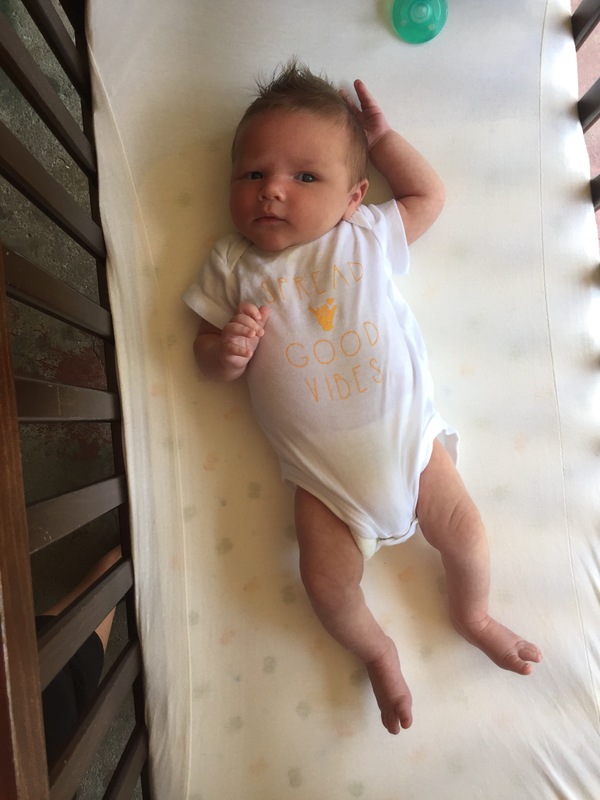 Child loss – Our Happy Place & Co. I lay in bed last night listening to the rain on the windows of the house. The wind blew so fiercely it felt as though it was something swiping through the air, grabbing, lifting whatever it could – then it was gone. I listened to it for a few moments. It happened two, three, times. It felt like I was having a déjà vu moment. I closed my eyes tightly trying to recenter my thoughts, away from the weather outside, then the rain hit again. When I opened my eyes, it hit me. I hit the home button on my phone and Toby’s smiling face appeared; I scanned to the date – the 23rd. 17 months ago Toby was asleep in his crib. 17 months ago this morning I could have looked at him on the monitor and he would have been right there. 17 months ago I could have walked down the hall ten steps and been standing over him. Today, if I walk 10 steps, everything’s still there – except Toby. For the past 17 months I have honed my “selective hearing” powers. Although well intended, more often than not, a cliche phrase hurts me, more than someone saying nothing at all. …Yes. Yes, actually he can. He did. I was given more than I could ever possibly handle. 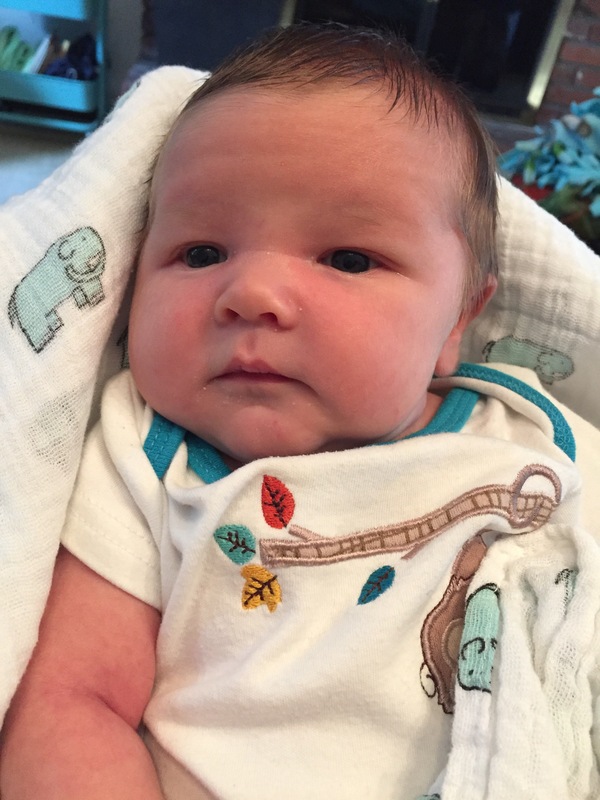 Our son was given to us – healthy, beautiful, thriving, sweet, handsome, funny, loving – absolutely perfect. Exactly what we prayed for. Then, after 12 weeks and 5 days on this Earth, in one strong swoop, like the rain/wind last night, he was taken from our arms and given his wings. I’ve had many different discussions with people over the last 17 months having to do with our control in life. My realization thought 17 months of grieving the death of my son – we have no control. We can do everything possible. Reroute our days; change our schedules; plan for everything; stress over the ‘What if’s?’ It is not in our control. We think that we have time. Time to get healthy. Time to take a trip. Time to move across country. Time to take a job you’d never considered. We think that we have more time. I’ll call my parents tomorrow. I’ll apologize in a few days. I won’t say something like that next time. I will stick up for them (or myself) next time. What if there isn’t a next time? We are on God’s watch. Here on Earth. This dark day forever changed my relationship with God. No, I did not receive an answer from Him. I will not have an answer until the day I stand before his thrown, Toby in my arms. I have accepted that. I have not yet accepted His timing. I have not fully placed my trust in His Plan. This is what I am working on. There have been numerous times over the past few months where I’ve veered off course. My light has gone out and I’ve had to stop and re-center my thoughts. Sometimes this takes days. I deal with anger, despair, loneliness, emptiness. It is very heavy and dark. But I fight for the light. We were having a really hard time a few weeks ago. I cried every day. I withdrew from anything that wasn’t necessary. I felt like I was sucker punched with another round of grief. I was fighting for light. I stood at our kitchen sink looking out the window. The ground was blanketed with snow. The sky was grey and I thought “This looks like my life. I never thought this would be my life – no color.” I blinked and to my amazement, right down on our fence post sat a cardinal. There it was – my light. I’ve held onto that moment for the past few weeks – it’s been my center. I am waiting patiently for the Lord. I am working to be brave and courageous. To our sweet Toby – I hope your days in Heaven have been beautiful. For every day that passes, I am one day closer to seeing you again. You are our light and Luke is our rock. I will never have a prouder moment than being your and Luke’s mom. I love you to the moon and back, baby boy. This has been a difficult week for our family. Grief is hard. It’s exhausting. It comes from nowhere. No warning. And it stays, for as long as it likes. You can have a good moment and the next you are crying. That happens with me a lot. Your body can ache from the physical pain of grief, not just pain from your heart. We pray for strength. We pray for understanding. We pray that Toby sees every tear that we cry, not because we want him to see the pain – there is no pain in Heaven. Our prayers are that he see the love. The love that comes with every break of our hearts and every tear we have shed over the last 14 months. I am sharing this because we have said from the beginning that we want to educate people on what it is like to be grieving parents. To have our infant son, die. This is what it is like. Today I read a post from another grieving mother reflecting on what she feels when she visits the cemetery. She talked about experiencing peace and a connection with being there with her child. I envy her perspective. I envy this amazing trust she seems to have in Gods plan. Today, while it started off well, quickly turned difficult. My arms ache to hold Toby, to hear him laugh with Dan or Luke, to feel his hair and see his bright blue eyes. I drive home past the cemetery most days and most times I need to stop. But today there is more anger here. I hate that the ground has fresh cut grass – that reminds me of how long it’s been since we buried him. I hate that the leaves are falling – a reminder of a season that I used to love, but now holds my broken heart. I look at his stone and want to pull his name from the marble. I don’t want there to be an end date etched in there. I don’t even want to be here. As I start to descend over the hill to this hand-picked spot, I can’t make it past the last stone before his, before tears stream down my face. Every time. I want to have faith in God’s plan. I want to have joy in knowing Toby is in Heaven walking in His Kingdom. I want to take heart in knowing that he felt no pain – that his heart will never break, like mine or Dan’s. But as a grieving mother, sometimes my faith in God is shaky. My vision in his goodness is blurred by days of tears, wishing for my Toby to be back here, on Earth, with us. Sometimes, even falling to my knees to pray, my heart still feels heavy and my arms empty when I get back up. Do not be afraid to ask about Toby. Do not be afraid to ask how we are feeling. And also, on a day when we may not want to talk, please understand and do not hold it against us. You do not know what we are struggling with. You do not know the memories that are flashing through our minds. We understand that too. We only pray for patience, consideration and respect. We are parents of two beautiful boys, who are our world. They are loved unconditionally and they make us very proud. 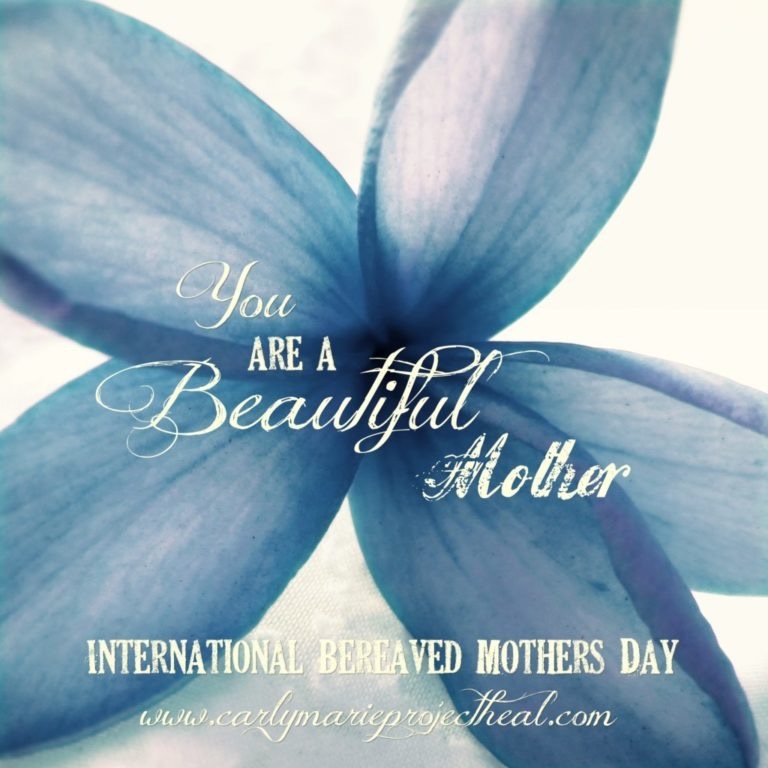 Today, May 7, is International Bereaved Mother’s Day around the world. A day to recognize the mothers who have lost a child or children. A day to open our eyes, ears, and hearts to mothers with empty arms and a broken heart, that could be sitting right next to you. If you are a mother who is a part of the bereavement community, I am sorry you are here. But please know, you are not alone.